There's more to the G20 summit than the words exchanged between world leaders, according to body language expert Robert Phipps, who examined the participants’ non-verbal gestures and shared his findings with RT. 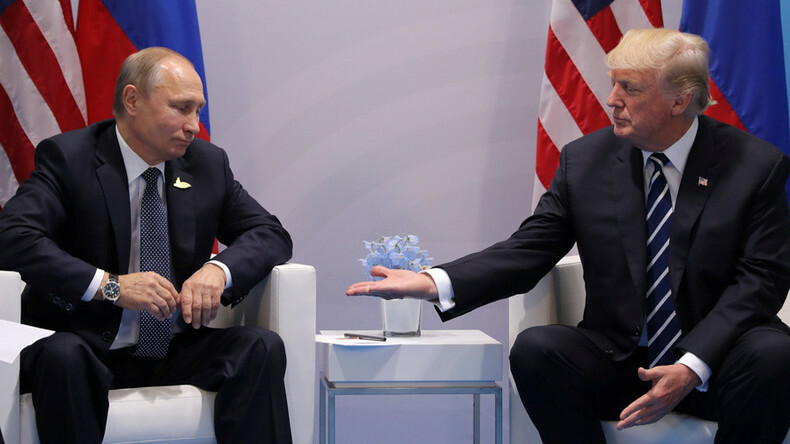 A video of the gathering shows a much-anticipated handshake between US President Donald Trump and Russian President Vladimir Putin. The way Trump conducted himself during that handshake can mean one of two things, according to Phipps. "Trump extends his hand for the handshake first, and as Putin reciprocates, you then see the left hand of Trump come underneath the forearm of Putin," he told RT. "It's either an emotional connection or it's an attempt at a controlling gesture," he added. As for Putin's behavior, Phipps noted that the Russian leader pointed his finger at Trump. "A finger point is generally quite an aggressive signal," he said. Trump may not have viewed it that way, however, as he is later seen patting Putin on the back with his left hand. "Again, this can be seen as either affectionate or controlling," Phipps said. Putin's decision of where to stand - behind a table - during his meeting with foreign counterparts was also notable, according to Phipps. "That can be seen as a barrier to the other leaders." As for the family photo of G20 leaders, Phipps said the placement of each person was worth noting. "Merkel is hosting the event so she's front and center, which is where you would expect her to be. And generally speaking, the power disseminates the further away from the center of power that you get." That statement is interesting, considering Trump was almost at the very end of the front row, with only French President Emmanuel Macron standing between the US president and empty space. Phipps said although it is assumed the leaders are placed in their positions rather than freely choosing him, he said Macron appeared to have chosen his spot. "That seemed to be a choice from what I can see from the video, because he goes along and deliberately sort of moves to the outside of Trump, which puts Trump not on the outside... so Macron is reaching out to Trump." 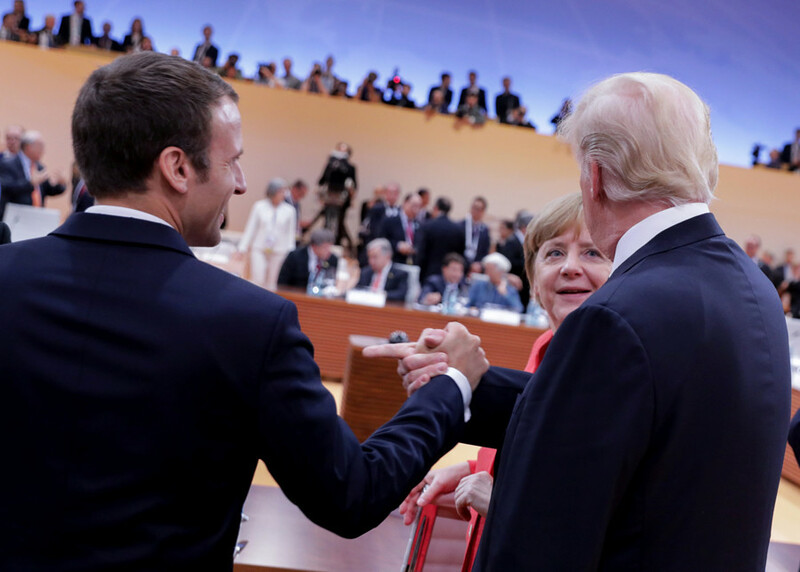 Phipps went on to observe a conversation - and a chest punch - between Macron and Trump after the photo was taken. 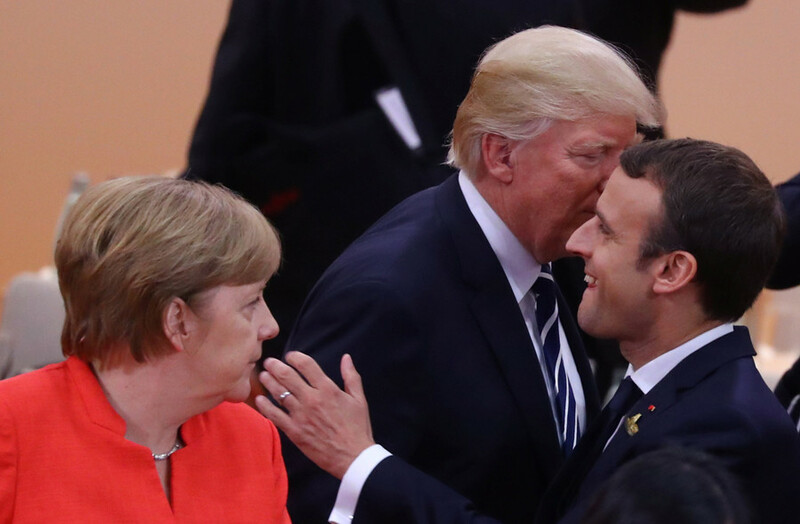 "Macron actually starts talking to Trump and he punches him in the chest, just very gently, which I thought was very interesting, because that again can be seen as a slight bullying, but with an affectionate part to it as well." "But he's basically saying - whatever he's talking about I don't know - but what he's saying is, 'Come on, you've got to do this…' because otherwise there's no reason for the punch in the chest." When asked by RT if there was a leader whose behavior on the world stage is particularly interesting, Phipps responded by saying: "Trump is the exception because he uses a lot of controlling gestures" when meeting world leaders, noting that "in reality they should all meet on equal terms." 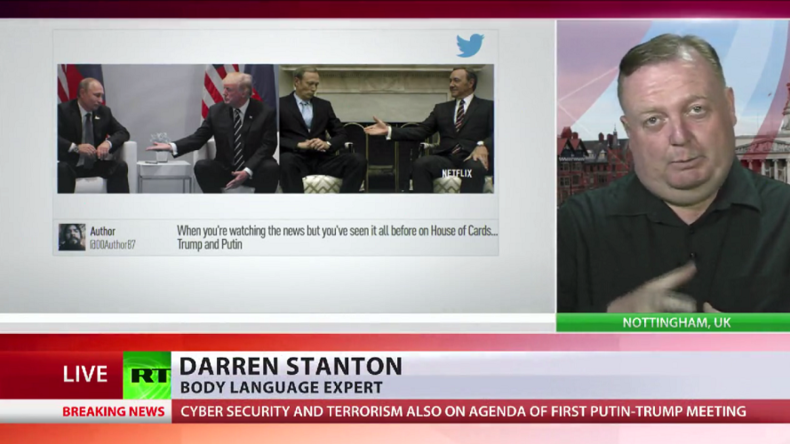 Another body language expert, Darren Stanton, also commented on the world leader’s gestures during G20 Summit in Hamburg, noting “dominance and power gestures” by both Putin and Trump. 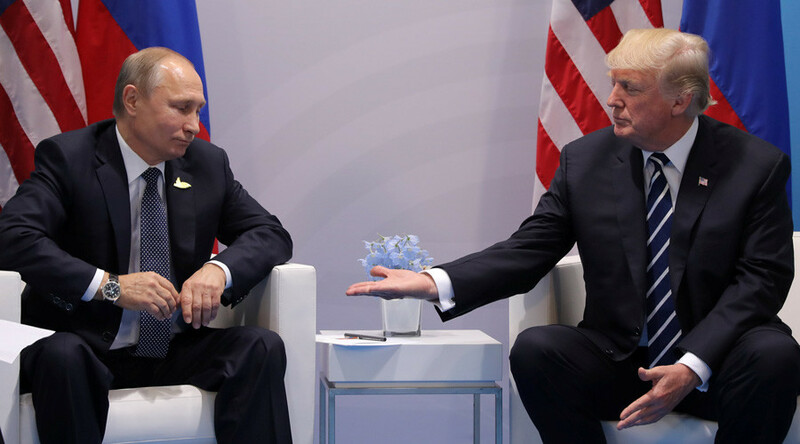 “And then we also see president Putin with his legs sort of quite spread apart and that is a very classic dominance gesture,” Stanton said.